Besides the stuffy nose, sneezing, and itching associated with allergies, people may also have eye symptoms. Some people experience eye allergies without any other associated symptoms. Here in Stratford, CT, our optometry clinic helps people with eye allergies live a more comfortable life. Some particularly unlucky people may have all of these symptoms when their eye allergies are acting up. Allergies, in general, are caused by the body mounting an excessive immune reaction to a harmless substance. This substance can be anything, but the most common allergies are to pollen, mold, pet dander, and dust mites. 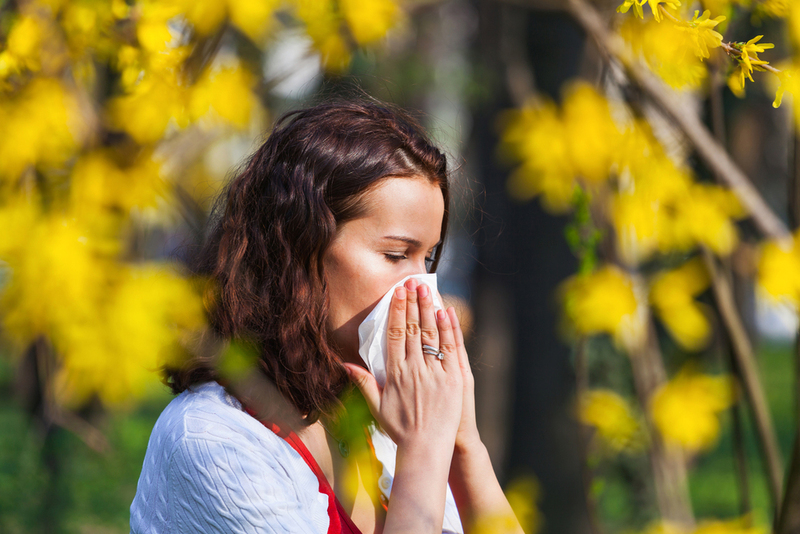 People who have seasonal allergies are usually allergic to one or more types of pollen, while people who have year-round symptoms are more likely to be allergic to something else. How Do You Treat Eye Allergies? People with eye allergies may find it difficult to wear contact lenses, or doing so may make the symptoms worse. Contacts can trap allergens that are not removed through cleaning, or they may simply be uncomfortable in eyes that are already irritated. Some people find that daily disposables are tolerable and/or improve their symptoms. Artificial tears may be helpful to wash allergens out of your eyes. Both prescription and non-prescription eye drops are available for treating allergies, as well. Oral medications that reduce your body's overall allergic reaction can help get the problem under control. Some medications are available for long-term use, while others are intended to help with the acute reaction but cannot be taken constantly. Our optometry clinic can help you determine the best choice of treatments for you during your eye exam. Our optometrist, located in Stratford CT, can help you deal with eye allergies in a number of ways. Prescription eye drops, new contact lenses and a thorough eye exam to look for associated issues are just a few of these ways. To make an appointment with Family Vision Center in Stratford, call (203) 377-2020, or to make an appointment with our Bridgeport location, call (203) 333-2020.